99% of Pinoys loves the new Miss International! This is one of the most peaceful times between PH and INDO and maybe in the entire season of pageantry so far. Kevin may not be the most beautiful but she's sweet, smart and very relatable. This is what queens should do - Unite the fans and not divide them. P.s I don't like the your Miss World girl though please let the peace remain. Re: 99% of Pinoys loves the new Miss International! Also the fact that it is won by a delegate from a country who never won before. 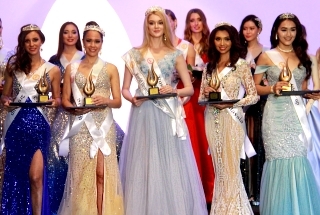 Indonesia's first Major Beauty Pageant title. The 4th Asia country to win. Indonesia must be in a party mode right now. Congratulations. I like the winner. She's beautiful...her face is pleasant to look at unlike Bakekang Ibasco's baku baku face. Last edited by SHREWD on Tue Nov 14, 2017 3:29 pm, edited 1 time in total. You lie, many Pinoys like the new Indonesian winner but 99% ? I belong to the 1% who don't like her--opss I am not a PINOY--sorry. She's ugly and her chin my cause her to lost her crown and a possible take over for Ms Curacao. She better be careful in her walk..one mistake and slip then done! Sadly, it's a different case when PH wins a crown even though she is beautiful. Indonesians keep on bashing us. I just hope they learn a lesson from Filipino pageant fans. You may or may not agree with this but, many Filipinos are loving the new Miss International because Kylie was the reigning queen and she passed it to Kevin. And they see the same vibe from Kylie and Kevin together. That's what I also observed from some Indonesians. They are loving Kylie now (I can still remember how some of them called Kylie as ugly and undeserving), and many of them are thankful to her because she crowned their girl. I love the new Miss International! So deserving! Of all the countries in Southeast Asia, it is with Indonesia that the Philippines has always had the closest relations. The two countries form the sprawling Malay Archipelago, the easternmost rim of Southeast Asia. In domestic war and in times of peace, the two countries have always supported each other. Hinduism and Islam came to the Philippines by way of Indonesia, establishing traditions which are still in place in the Philippines, especially in language. The expansive Visayan islands in Central Philipines were named after the Srivijaya Empire, which had its base in Indonesia. The TS may be exaggerating it with "99%", but there's truth in those sincere messages of congratulations and goodwill by the Filipinos to their southern neighbors and allies. And before someone tells me of the wet-market bashing between the two nationalities here in Missosology, here's a reminder that our membership in this dazzling web forum does not represent the larger populations of these two countries. Our Misso bashings as pageant fans will never, ever indicate or negate the age-old ties between these two nations. Congratulations once again, Indonesia! I am truly happy for your new, history-making success in the pageant world! AS LONG AS YOU NOT CROWN CEATURE. EVERYONE WILL BE HAPPY! the new miss international is so pretty.. i love her! 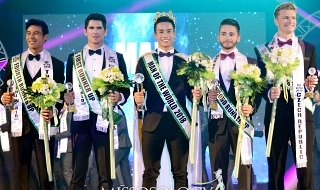 It’s ironic that Indonesians bashed Kylie last year as ugly, while this year, Pinoys are NOT bashing and calling the Indonesian winner Kevin as ugly. BTW, Mariel underperformed at the final night. She did not look like she was fighting. 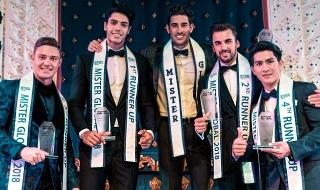 Her evening gown pasarela was bland. Curacao did a great pasarela. She stood out. Kaya pala sobrang tahimik ng Misso ngayon ! Tuwang tuwa nga sila sa resulta ! Mess Earth, Mess International, and coming soon Mess World ! Itodo na yan, dapat chakah din ang manalo sa Mess Universe ! Para panahon talaga ng kachakahan ang year 2017 ! iPhotoshop na lang mga mukha nila sa mga banners dito sa Misso ! Last edited by Violeta Urduja on Tue Nov 14, 2017 7:04 pm, edited 1 time in total. It is more because those trolls in social media are the bashers of Mariel because of her strong opinions against Duterte. Plus the fact that the INDO girl actually trained with KF. estoy mi super contento por indonesia. charot! Message: You're so ugly, you know... tse! Violeta Urduja wrote: Talaga lang hah ! THIS IS A SIGN GURL! YOU MUST JOIN A PAGEANT! SHREWD wrote: I like the winner. She's beautiful...her face is pleasant to look at unlike Bakekang Ibasco's baku baku face. 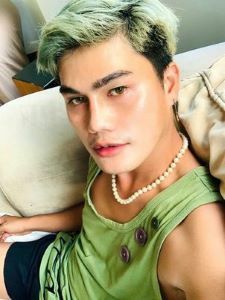 SOBRANG LAKI NIYA SA SWIMSUIT KAYA DOON PA LANG SOBRANG BABA NA SIYA SA SCORES AT WALANG EFFORT , WALA YANG KINALAMAN SA MGA RANTS NIYA SA GOVERNMENT, TALAGANG WALA SIYANG LABAN KASI NILAMON SIYA NG MAS MAGAGANDANG DILAG DUN, CONGRATS TO INDONESIA! But Indons don't know what is "utang na loob"? They should be happy that Miss Earth's camp trained their delegate but when they bashed Philippine Queens as if they have the most beautiful delegate. I knew it pinoys! !u r proud of yourself because she got trained in php!u think she won bcuz of your help! Message: UTANG... minsan mas tumatagal pa yan kaysa sa isang relasyon!